You will see smiles there, and you can smile there. This is our spiritual home. 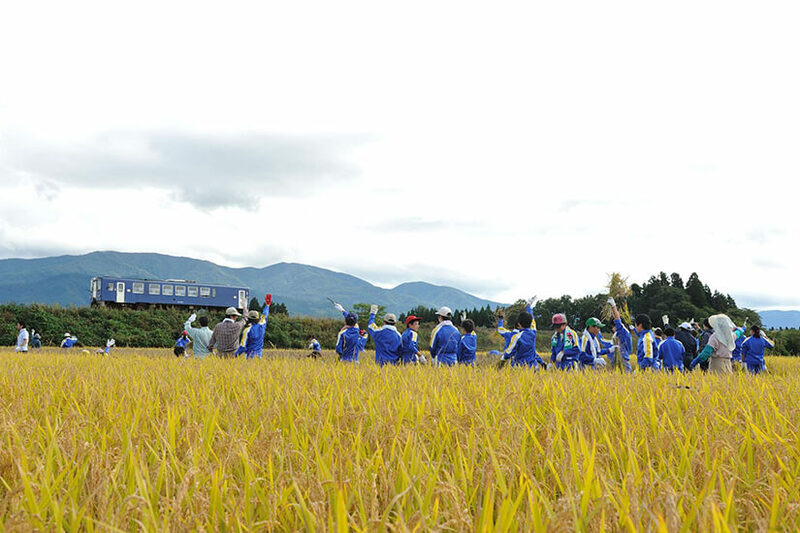 Visitors can see a picturesque view of an original satoyama (a border zone or an area between mountain foothills and arable flat land) landscape here. 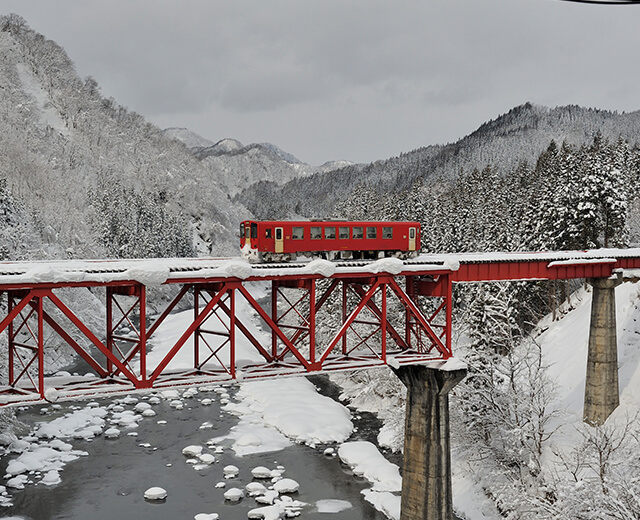 Small trains unhurriedly rattle down the track through the scenery. 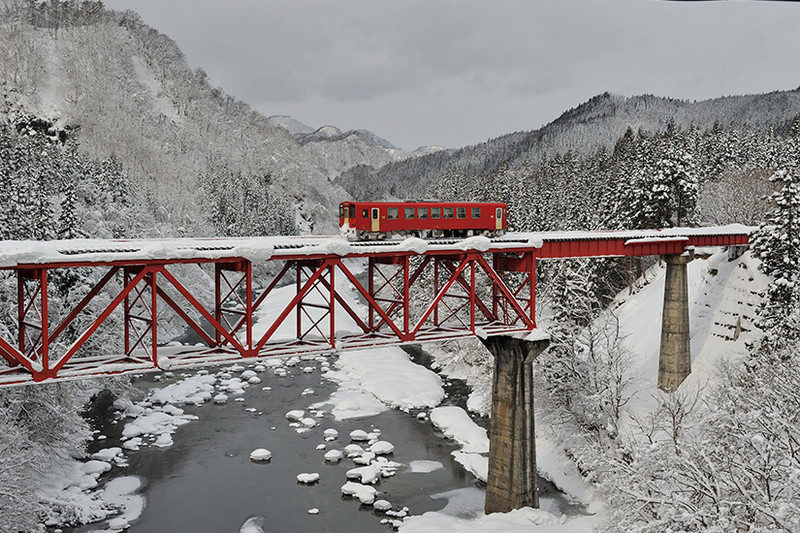 In addition to this beautiful scenery, there is one more thing that the Akita Inland Line is proud of. That is the smiles of local people whom our guests can encounter at their destinations. We would like to welcome visitors with smiles, and we hope to see their smiles. We and people at their destinations also hope to smile, knowing that our visitors will learn about the attractions of Akita and welcoming many more visitors. We wish to see many smiles now and forever from encounters that we arrange. 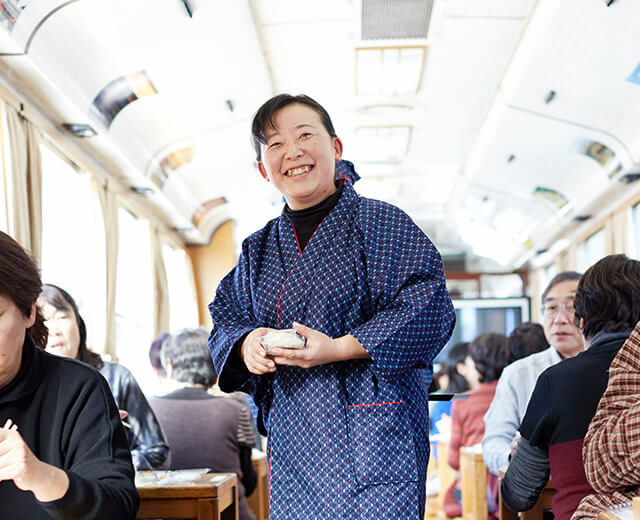 Trains on the Akita Inland Line will continue to run with the smiles of our visitors on board. Enjoy touring around places famous for beautiful flowers and edible wild plants. 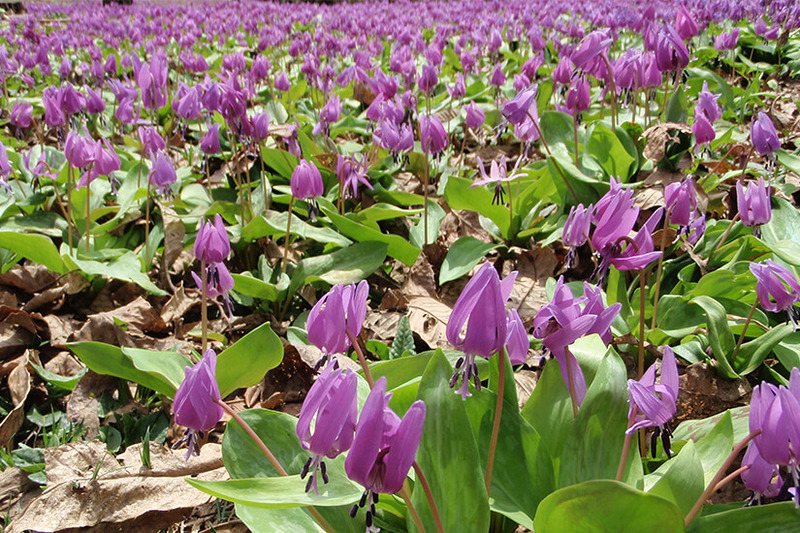 Over the course of growing these chestnut trees with the utmost care for many years, wild dogtooth violet flowers have increased in number, and the area has become Japan’s largest colony of dogtooth violet. The view of lovely dogtooth violet flowers spreading like a carpet every year is fascinating no matter how many times you see it. 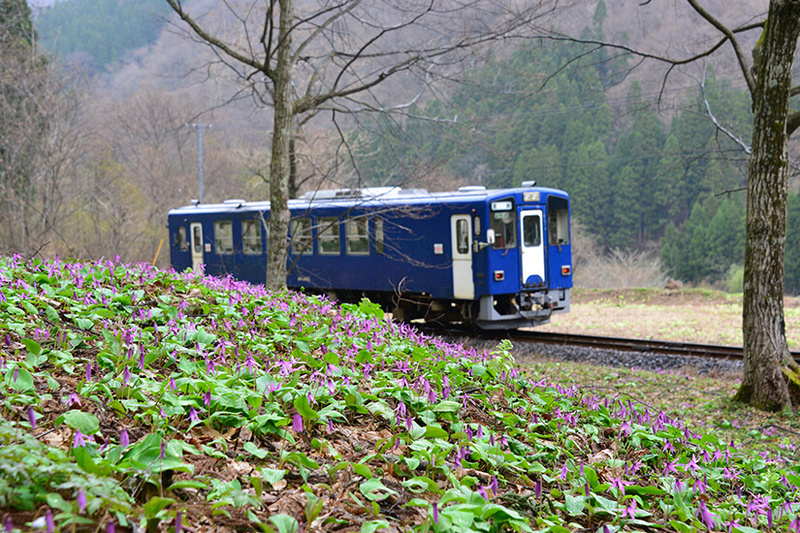 Since the dogtooth violet colony is located about five minutes’ walk from Yatsu Station, please come to see it, as well as Kakunodate’s cherry blossoms, by the inland line. Furthermore, Akita is a treasure trove of edible wild plants. 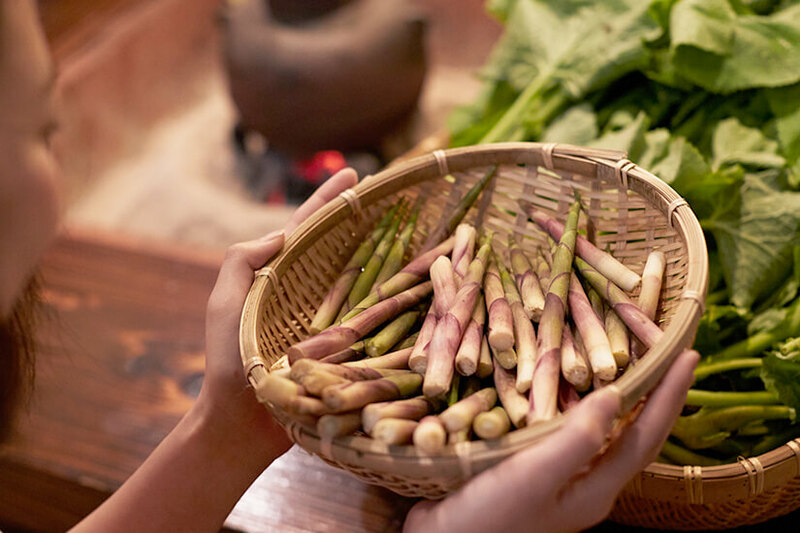 In this season, many visitors from outside the prefecture are surprised at this area’s abundant types of edible wild plants. 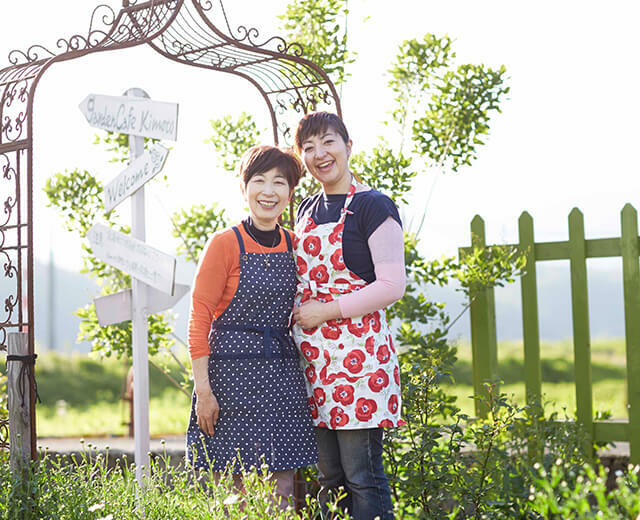 Please come to experience Akita’s rich food culture unique to spring. Dogtooth violet flowers are at their best from mid-April to early May. 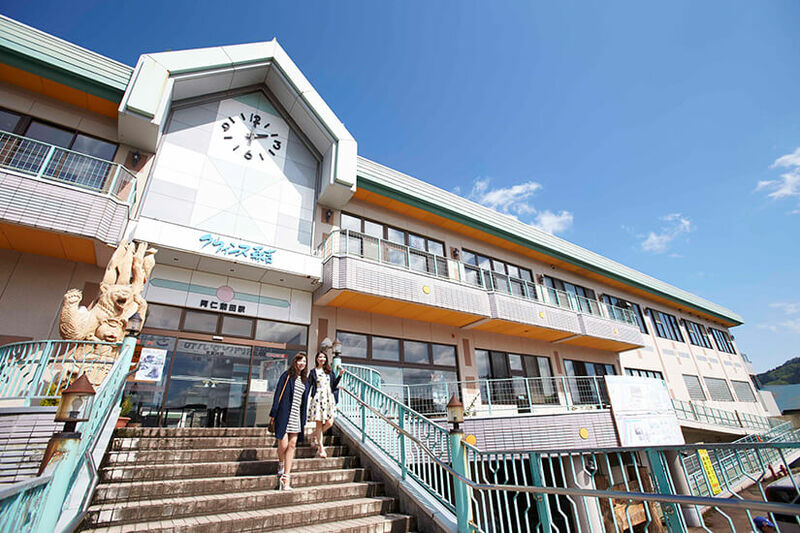 Local products are sold at Nishiki Katakuri Public Hall as well, where there is a reception desk for tours of the colony of dogtooth violet. The view of dogtooth violet flowers seen from a train has a charm of its own. Edible wild plants are blessings from forests and water. 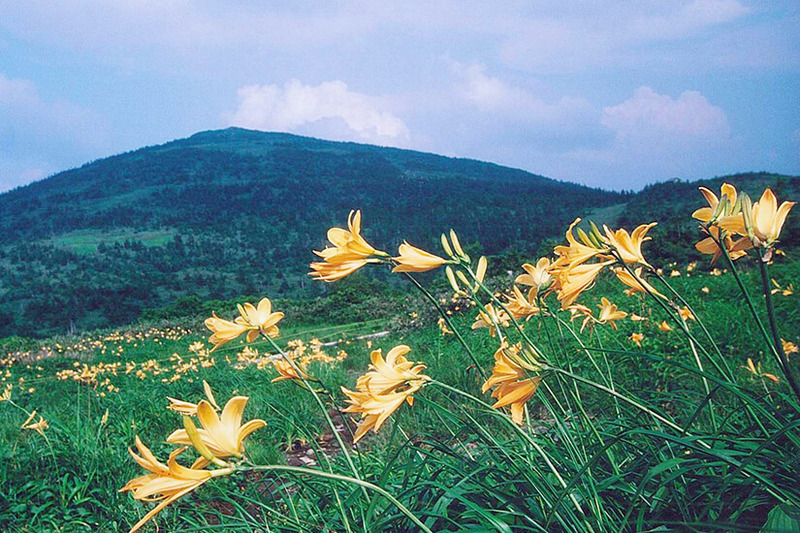 Please spend the day relaxing in the cool land of Akita. 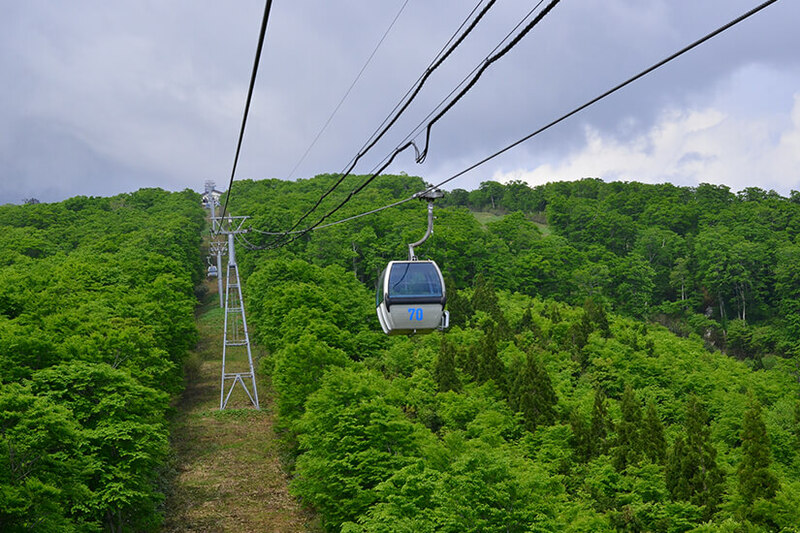 In this season when the greenery is beautiful, many people visit Akita from distant places to go trekking on Mt. Moriyoshi. Visitors can enjoy viewing one of Japan’s greatest waterfalls, called ”Yasu Falls,” up close, and admiring diverse alpine plants growing in clusters everywhere. 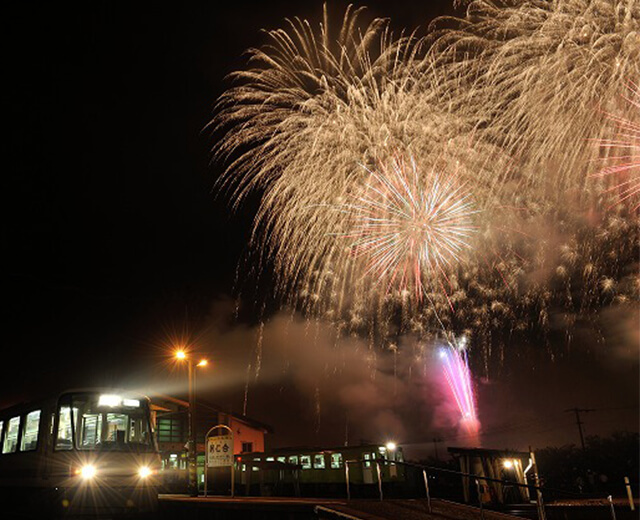 During the Obon holidays, summer festivals are held in various places along the Akita Inland Line. Above all, visitors will be able to fully enjoy the customs of Akita with the fireworks festival and toro-nagashi (flowing of lanterns down a river), which are held at a river park near Aniai Station in a traditional atmosphere, as well as with local performing arts. 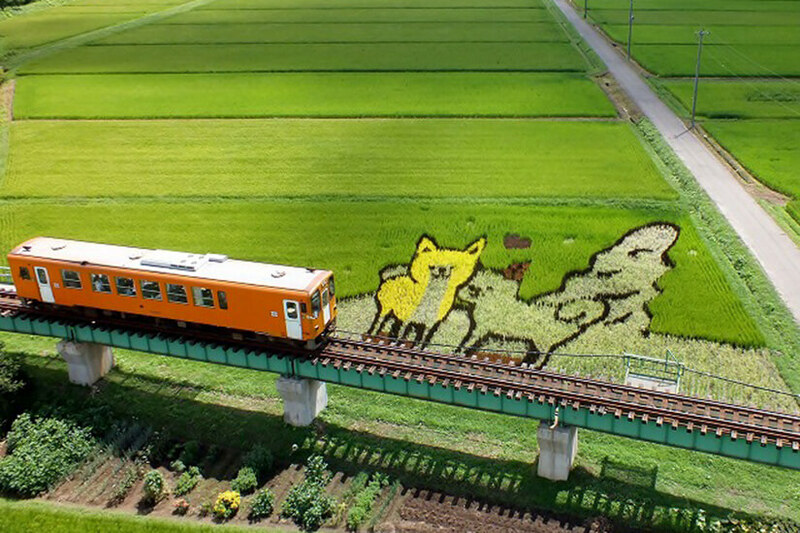 Furthermore, along the Akita Inland Line, there is a spot where ”paddy field arts” can be seen from the train window from July to early September. 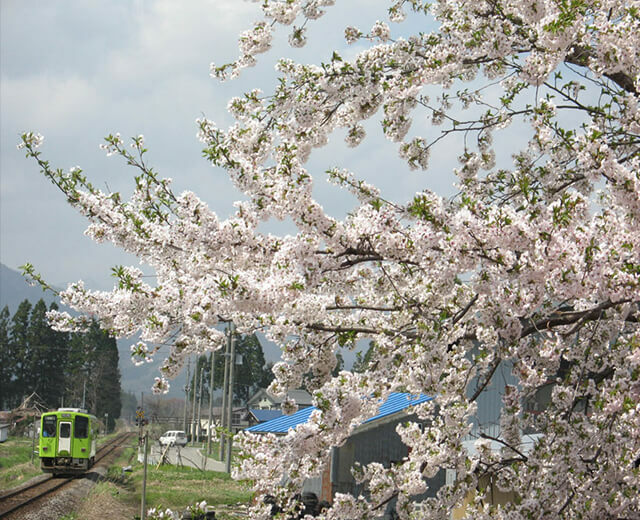 Please visit Akita to enjoy scenery along your journey. 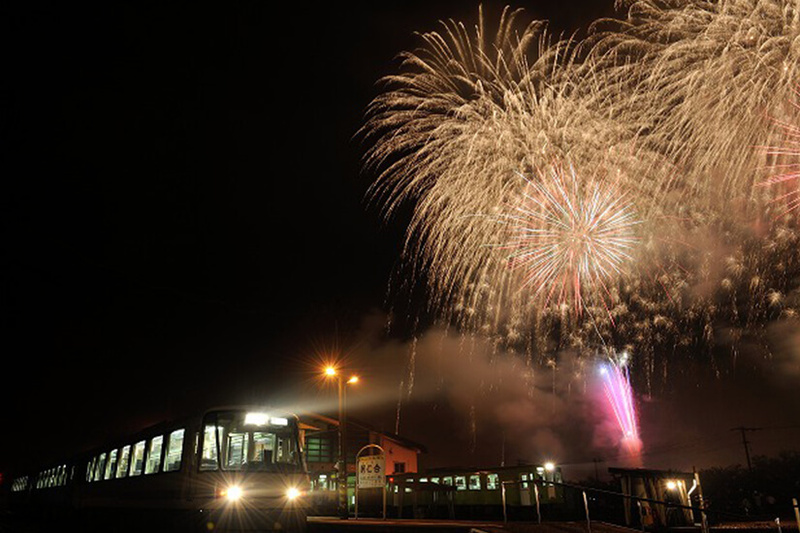 Special train services are provided for the “Fireworks in Ani“ held in mid-August. Autumn leaves seen from a bridge are superb! 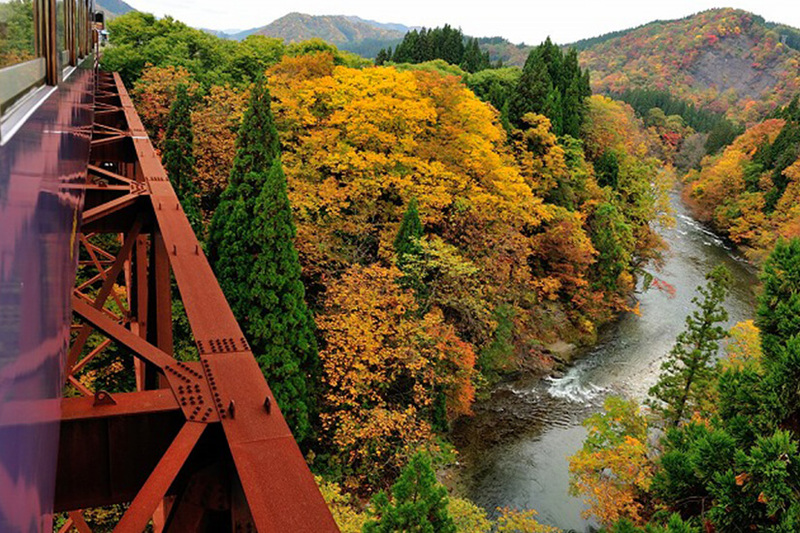 The scenery of autumn leaves is the most beautiful autumn view that can be seen from a train of the Akita Inland Line, which runs through land located deep in the mountains. Above all, the view that can be seen from a bridge over the Omata River, located between Okashinai Station and Kayakusa Station, is wonderful. 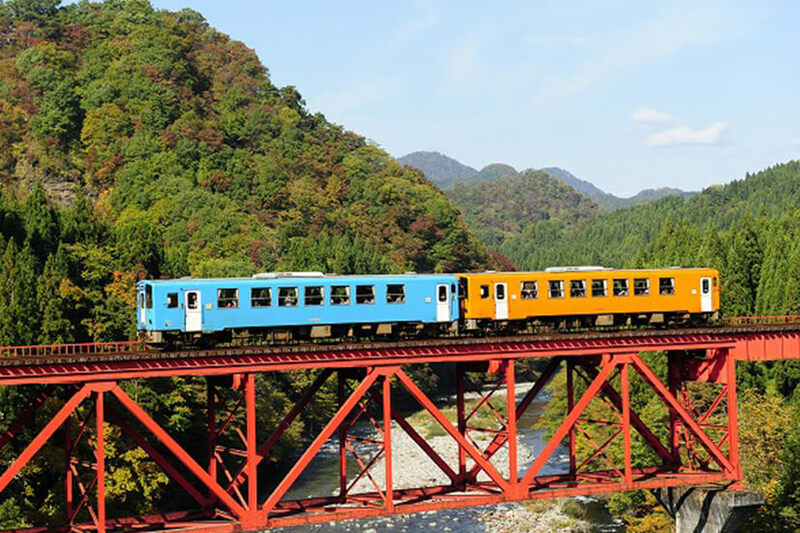 We would like our visitors to enjoy viewing autumn leaves from a train of the Akita Inland Line. The most notable taste of autumn is mushrooms. 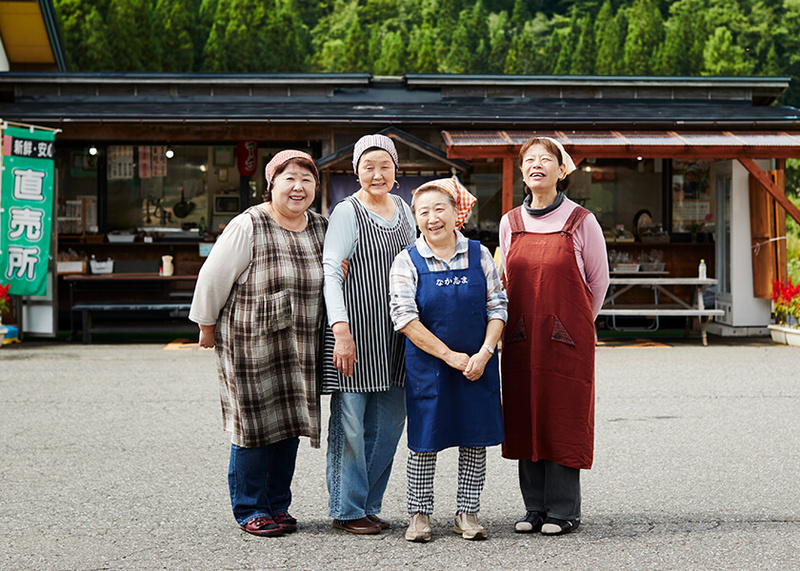 In Akita, a prefecture that has many beech forests and Mongolian oak trees, diverse types of mushrooms can be picked. When it gets cold, a meal of a hot-pot rich in mushrooms and a bowl of new rice is the best feast. We ”Aniai Strolling Guides” also hold tours in Autumn. Why don’t you participate in town strolling while viewing beautiful scenery? During the harvest season, rice plants are tinted gold. 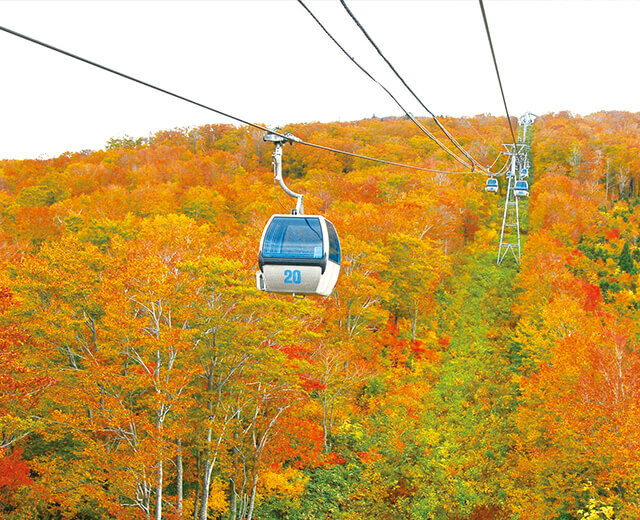 Scenery seen from Ani Gondola in autumn is also superb! Please also enjoy viewing autumn leaves from a train window. 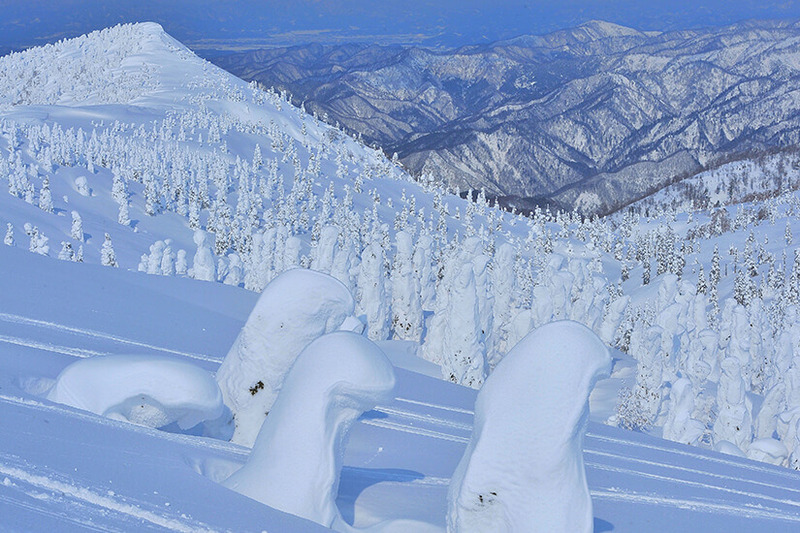 Enjoy the mystical scenery of northern districts of Japan! Colors of mountains vary from hour to hour. They are beautiful in every season, but my favorite is the winter scenery. 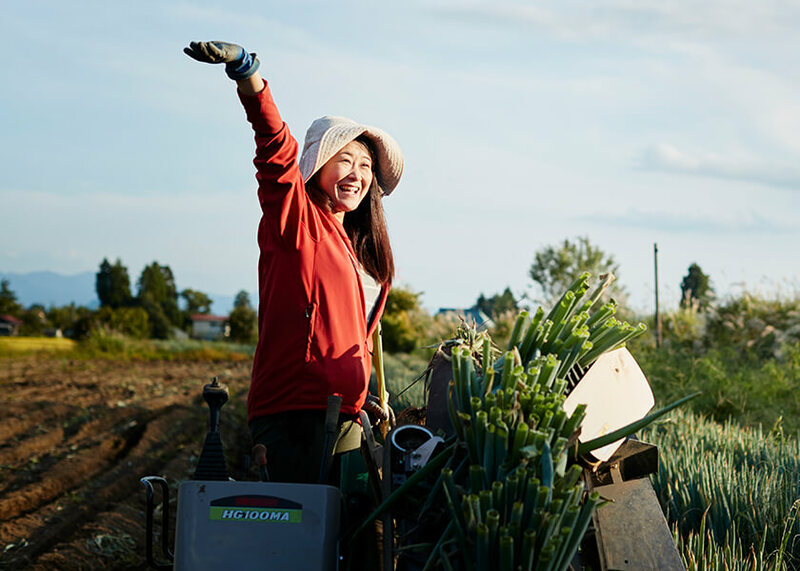 Because of the open view of the area around Kamihinokinai Station, which is located in the middle of paddy fields, when on board a train, you feel as if you have become a bird, flying over a world of white! 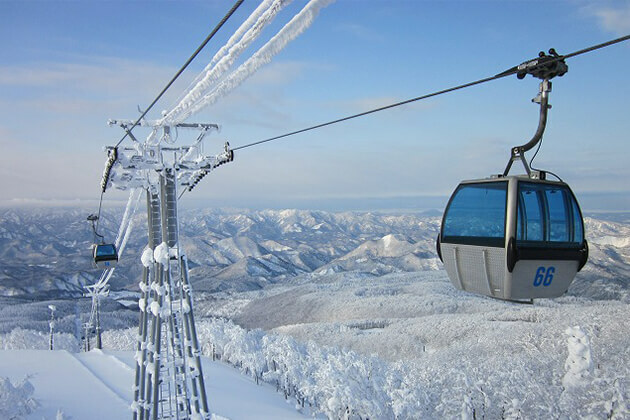 Our recommended sightseeing spot is Ani Ski Resort with frost-covered trees. The spot is located five minutes’ walk from Gondola Sancho Station, and you can casually enjoy seeing the scenery. In the cold season, we are happy to soak in a hot spring. 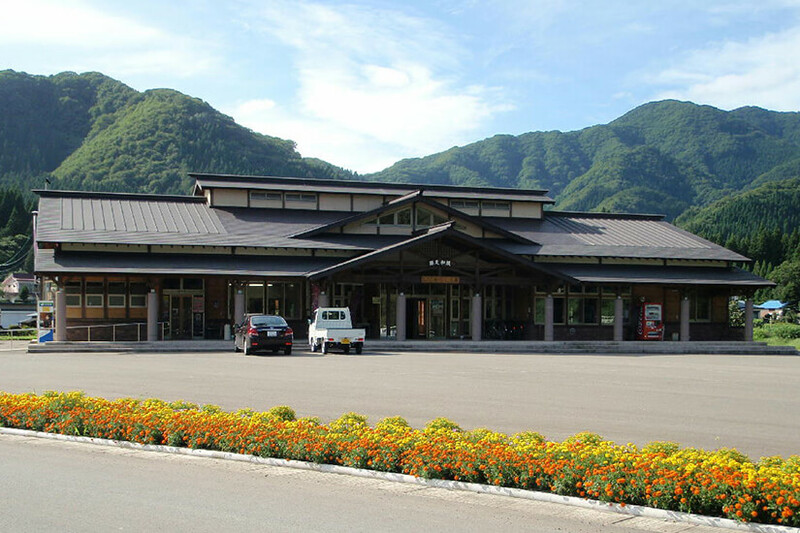 Animaeda Station is a rare station building equipped with a hot spring bath on the second floor. Please drop by the hot spring bath in the middle of your trip to “nugudamatte (warm yourself)” to the marrow. 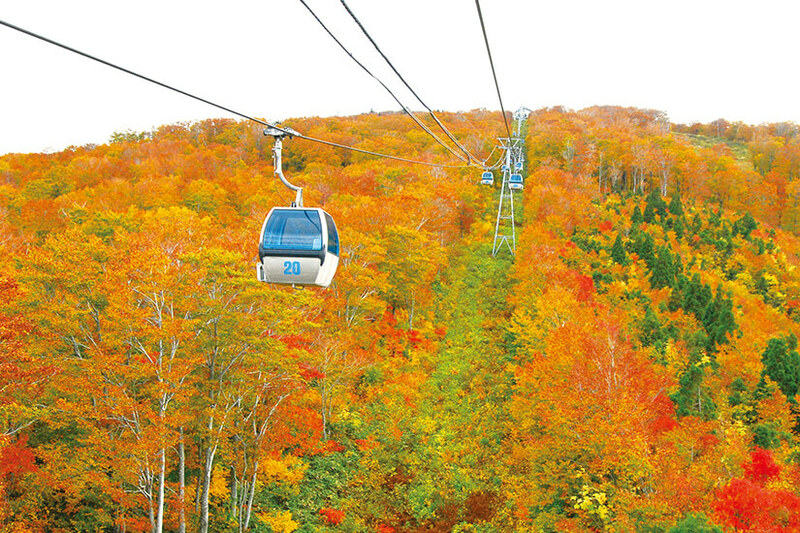 Frost-covered trees can also be seen from a gondola. On a snowy day, the area has fantastic scenery, like an ink painting.